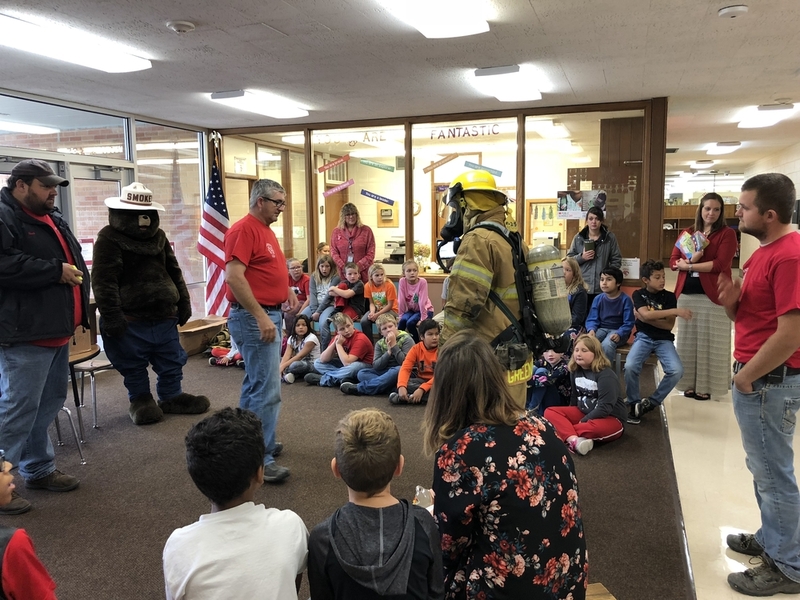 VFD visited VES for Fire Prevention Week. They educated our kindergarten-3rd grade students on fire safety. Smokey the Bear also made an appearance! Thanks, VFD!